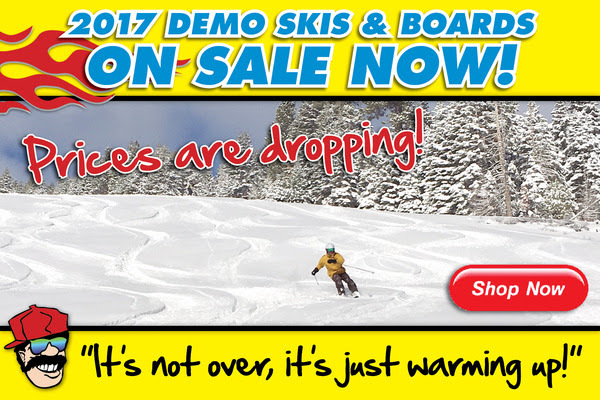 Prices are Dropping on 2017 Demo Skis & Snowboards! Tahoe Dave’s Skis & Boards Annual Demo Sale! 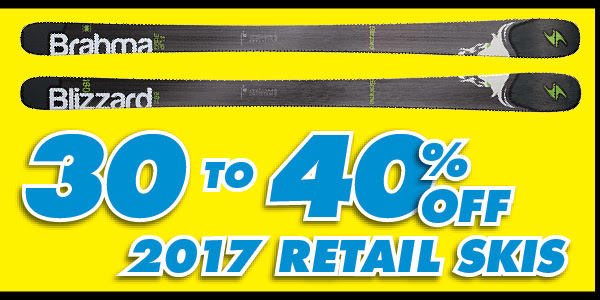 Prices are dropping on our 2017 Demo Skis & Boards … and with all of this SNOW, there is no better time than NOW to purchase some gear! 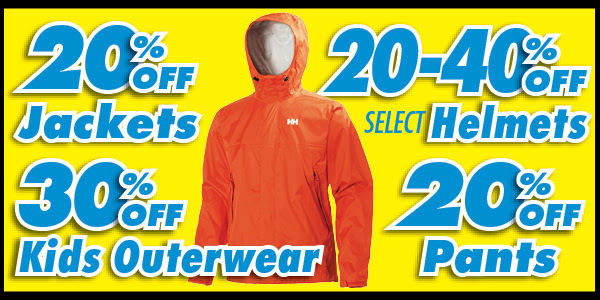 Call us at 530.583.6415 for availability and special sale prices. We can use a credit card over the phone and ship them to you, or just hold them until your next trip to Tahoe & Truckee. Don’t forget! — You can apply ONE day of your rental towards the purchase of your skis/board, giving you the opportunity to try before you buy! Check Out Our Prices & Selection! Not Sure What You Want? Check out our Ski or Snowboard Demo Catalog! 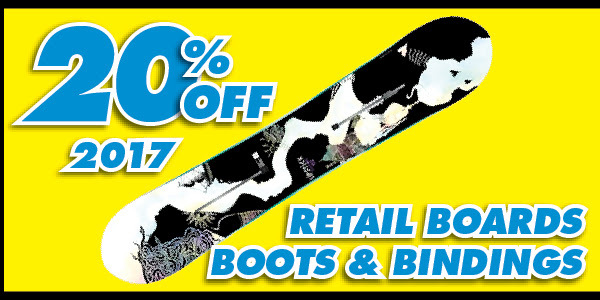 Come on by our Tahoe City Ski & Snowboard Shops to check out our Retail Sales! Epic storms have dropped enough snow that some resorts are already extending their season – giving us more days to get out there for some awesome turns.